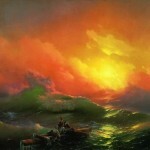 Works of the great artist Ivan Aivazovsky are in the treasury of world heritage. 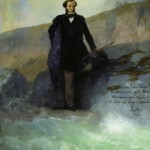 He was an epic sea poet, who won worldwide fame in his own lifetime. 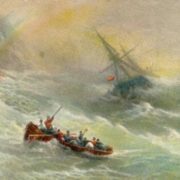 Aivazovsky had an absolute memory. 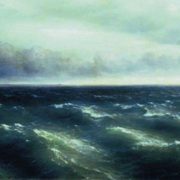 He painted his seascapes from memory, extremely accurately transmitting different sea conditions. 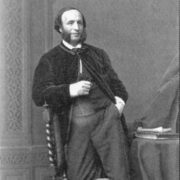 Aivazovsky was born on July 29, 1817 in Feodosia in the Crimea, the son of an Armenian merchant. In childhood, he was fond of watching the sea, liked to draw ships and the waves. Drawing became his favorite pastime. His talent was noticed by influential people of the city. A.I. 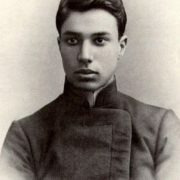 Kaznacheev, the mayor of Feodosia, sent a teenager to Simferopol school and subsequently applied for his admission to the Academy of Arts in St. Petersburg. 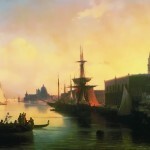 Aivazovsky was surrounded with world fame. 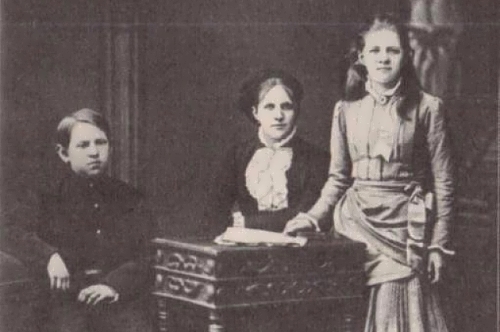 Since 1846, 120 personal exhibitions were organized in Russia and abroad. 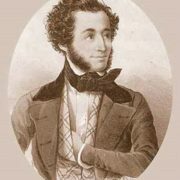 He was elected as a member of the European Academies of Arts: St. Petersburg, Paris, Rome, Amsterdam. 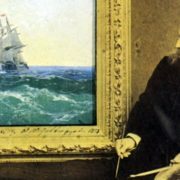 Vicar of Christ wished to get Aivazovsky’s painting Chaos for the Vatican. 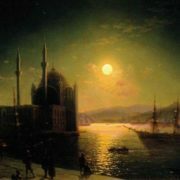 In 1844, Aivazovsky painted about 6000 paintings and was awarded the title of academician of the St. Petersburg Academy of Arts. 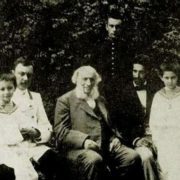 Almost all his life Aivazovsky lived and worked in Feodosia, where he built a house on the coast on his own project. 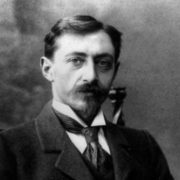 He did much to help provide amenities for the city of Feodosia: built a school, library, archaeological museum and art gallery. 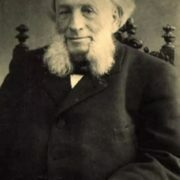 Thanks to him commercial port and railway line were built there. 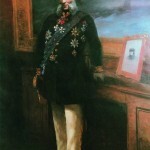 In 1881 Ivan Aivazovsky was recognized as the first honorary citizen of the city of Feodosia. 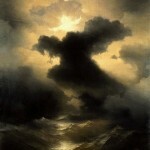 Aivazovsky was important as a painter of battle-scenes. 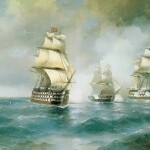 In 1844 he was given the title of Painter to the Naval Staff and depicted episodes from the defence of Sevastopol, and several times he treated the heroic feats of the Russian Navy. Then, when there was no television and cameras, only painters could give a picture of what was happening. 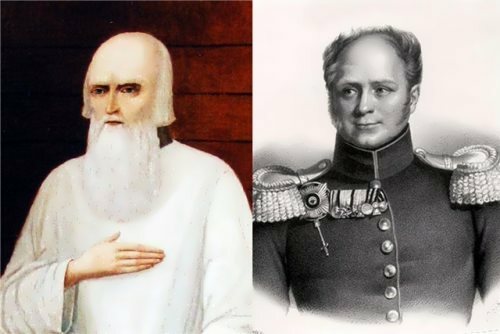 Therefore, the Naval Staff sent Ivan Konstantinovich “on missions”: artist quickly sketched battle scenes, showing patriotic spirit and faith in the power of the Russian fleet, thus promoting the official ideology. 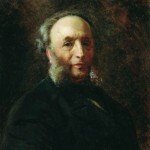 During the Crimean War Aivazovsky was not always able to attend the field of battle, but he carefully collected eyewitness accounts and restored events. 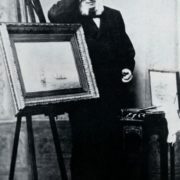 “Sea is my life”, – said the artist. 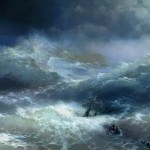 He had the ability to convey movement and breath of the sea. Looking at his paintings, it is difficult to imagine that man who created them experienced unsettled family life and separation from beloved children. 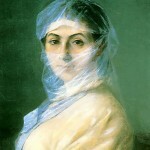 In 1848, Aivazovsky married governess – Julia Yakovlevna Graves. 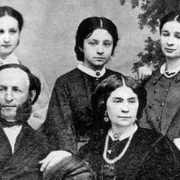 A year after the wedding their daughter Elena was born, in 1851 – Maria, and in 1858 – Zhanna. However, the marriage was not very happy. 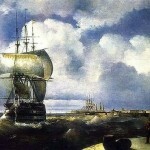 Young wife wanted to visit salons in St. Petersburg, but Aivazovsky decided to settle in Feodosia. 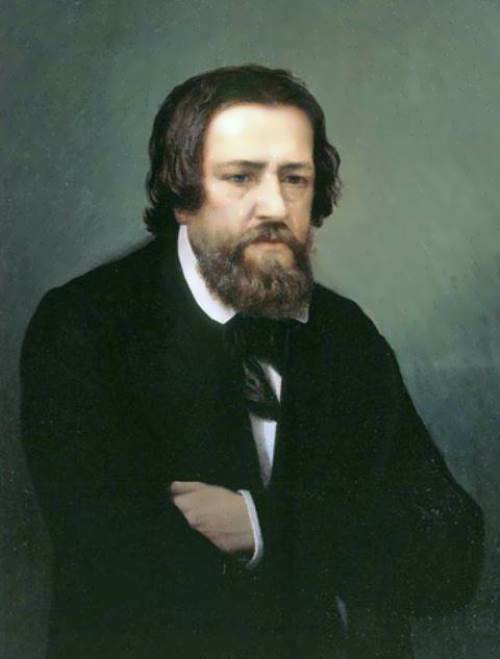 After 12 years of married life Julia took daughters and left Aivazovsky. Only from time to time she allowed the children to visit their father. In 1877 they divorced. After some years the artist met another woman, widow Anna Burnazyan, who became his wife. 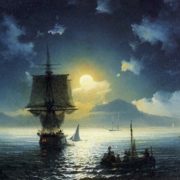 And even though he was already 65 years old, Aivazovsky was in love with his wife and was really happy. Anna was 40 years younger than her husband. 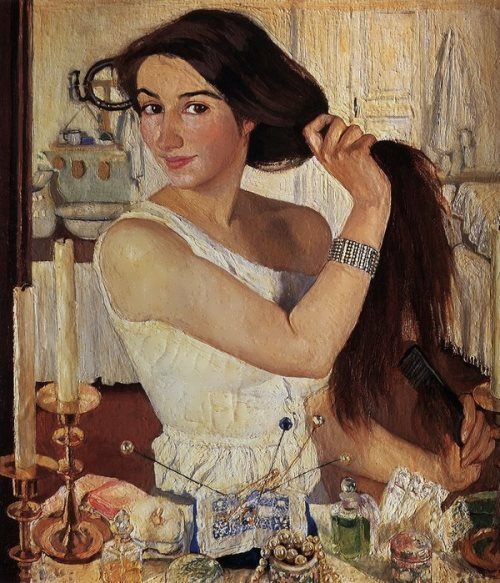 She admired his art, understood it, though she did not visit museums or read books on painting. The couple didn’t have children. 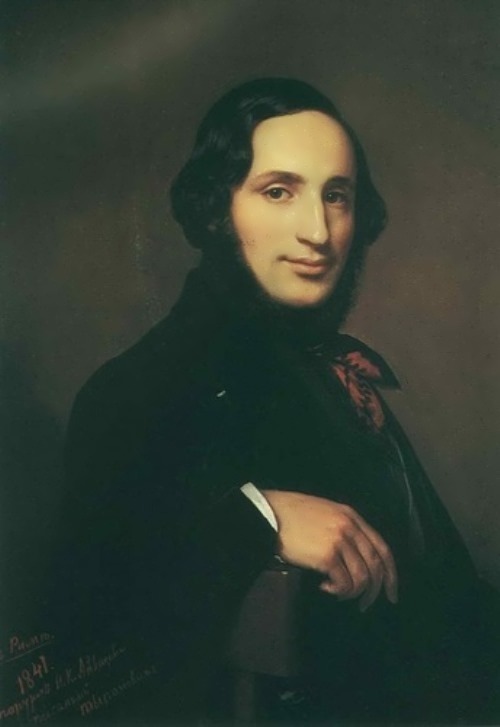 Her beauty inspired Aivazovsky not only to create the portrait, but he even dedicated a poem to her. 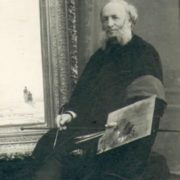 The great seascape painter, who became world celebrity at the age of 20, died at home in Feodosia at the age of 82, in 1900. 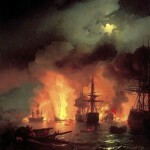 His picture Explosion of the Ship remained unfinished. At the funeral, Anna ordered to divide crypt into two parts, the other was for her. After her husband’s death, Anna decided not to leave the house. And for 25 years, she had never left it. She lived a lonely life. 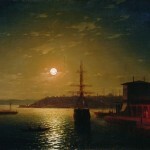 Every evening Anna went to the sea and was sitting on the bench, which was called “Anna Aivazovskaya bench”.